Temperatures climb after a slight cool down on Tuesday, we went back to the upper 80s on Wednesday. 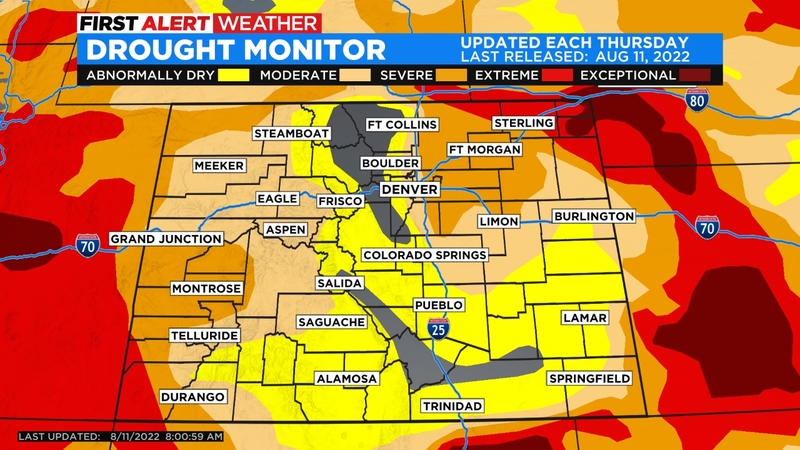 After a stormy Tuesday in the Denver area, much calmer conditions prevailed on Wednesday. 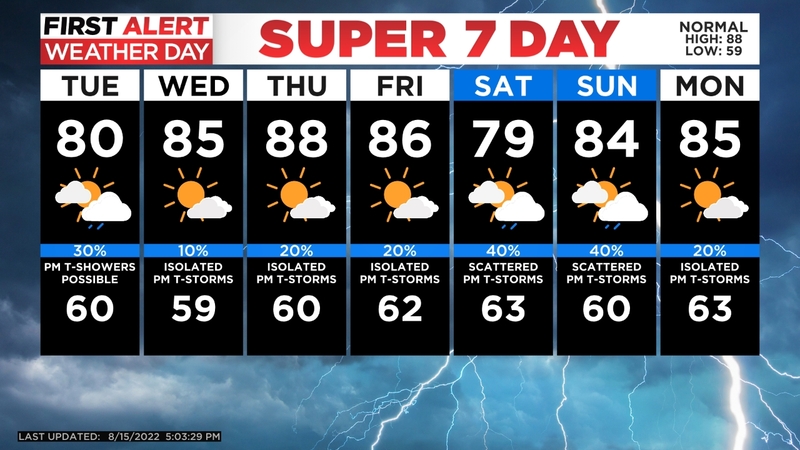 A few isolated storms could still creep our way, but overall we should stay dry. More storms as possible for southern Colorado on Thursday, with Denver seeing just an isolated chance for storms. Temperatures will stay in the upper 80s. Friday brings an increased chance for storms, still not a super great chance but the threat is higher than Thursday. Our best chance for storms in Denver will come on Saturday afternoon. This of course is right before the Broncos preseason game against the Bears. The chance will be highest during the late afternoon and early evening with a 30% chance of a thunderstorm near Mile High with the Broncos kickoff with the Bears Saturday evening. Temperatures really cool down through the weekend with highs possibly down to the 70s on Saturday.